We are excited to announce a new addition to our curriculum! 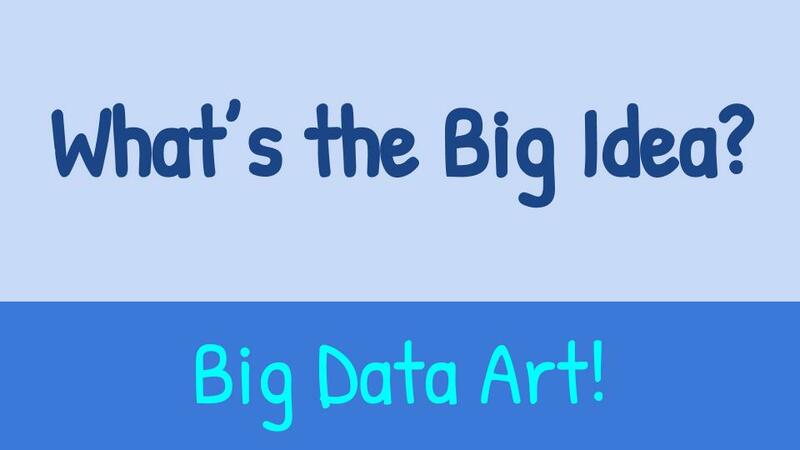 This year we have been developing a lesson that we will teach in the Fall called “Big Data Art” in the 6th grade math classes. a lesson that was on the cutting edge of Art and how it relates to the STEAM initiative. and hone our lesson to be taught in the Fall of 2018.
instead of a 45 minutes. We also realized that we needed to simplify the Tally Sheet we gave the students. Piloting the lesson was very valuable, we were learning on the spot. able to have a whole class complete the project. come to school the day we were there to pilot the lesson so he could learn about the subject as well. 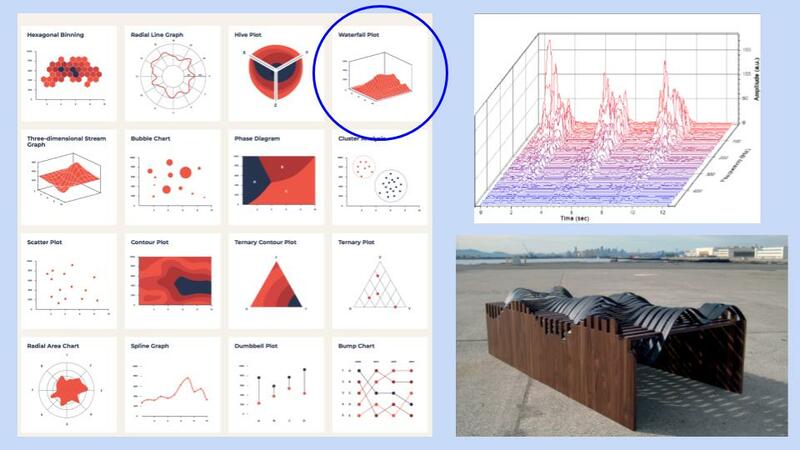 What is Big Data Art? 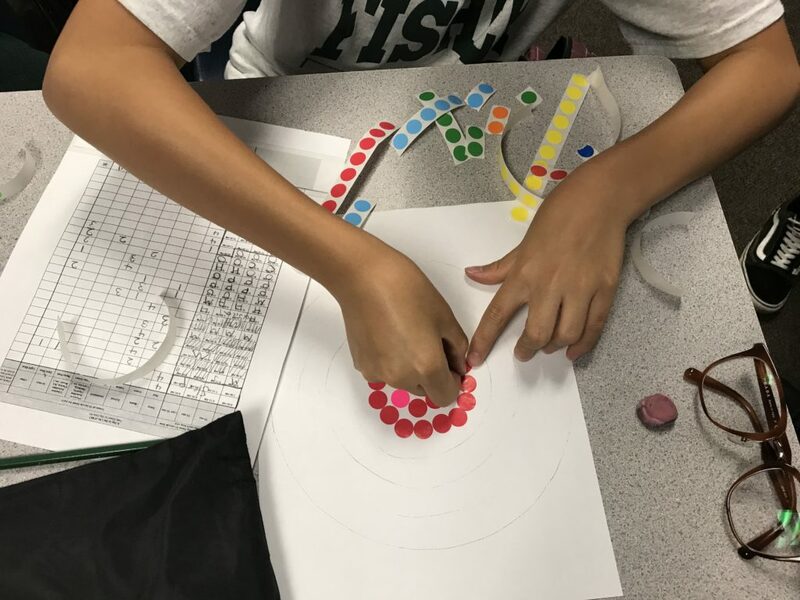 What is the Big Idea about including this art lesson in a math class? How can we combine a complicated subject and bring it to life for our tech savvy students? These were the questions we have attempted to answer in this new and exciting lesson. 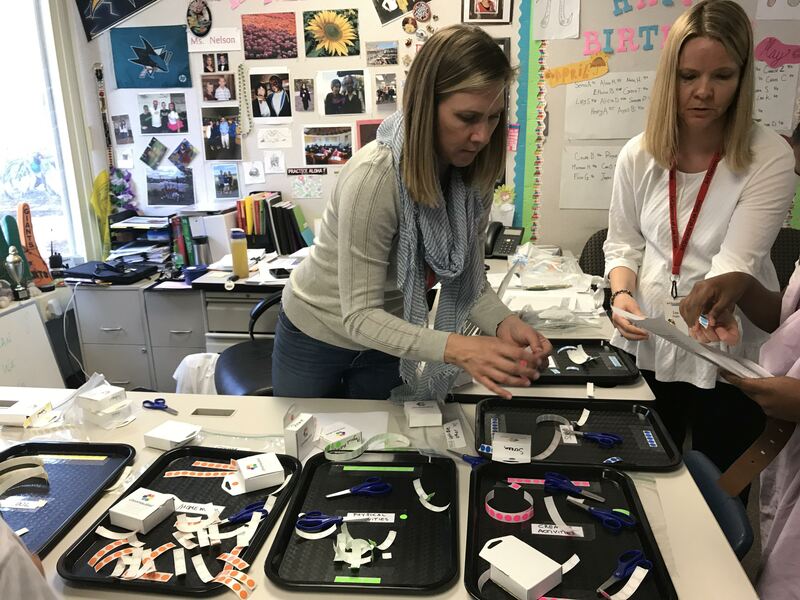 Make connections between art, math and science, as well as career potentials related to these fields. 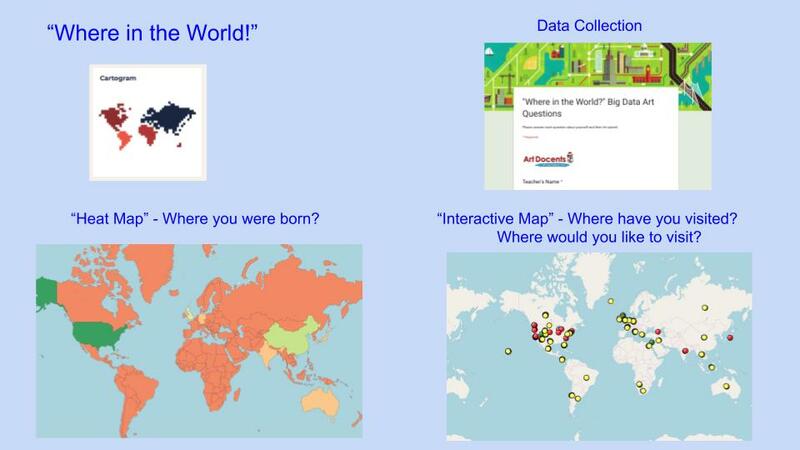 Enter, observe and analyze data about themselves that will be collected and displayed using a Heat Map. 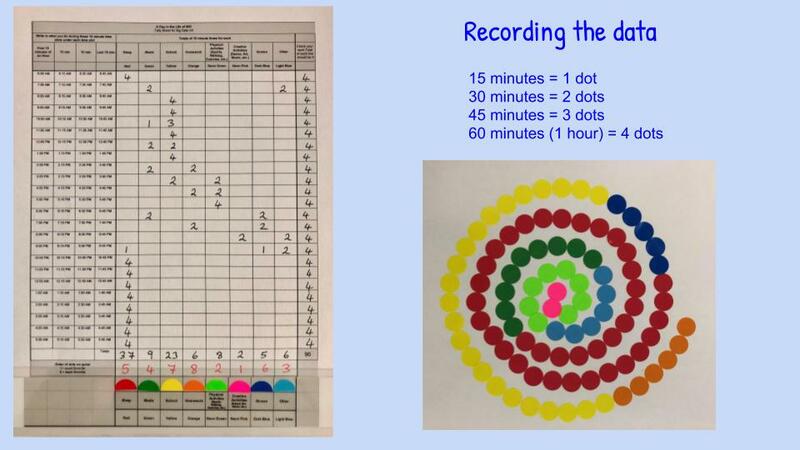 Record and tally their individual data of how they spend their time on a typical day. 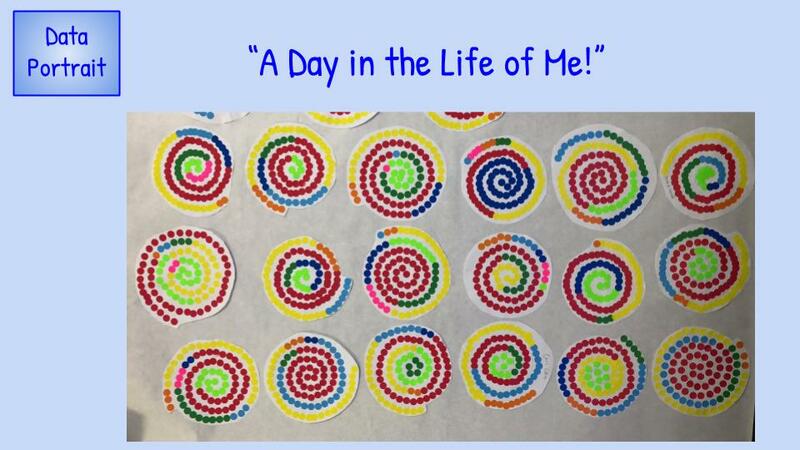 Create a Spiral Data Portrait of themselves called “A Day in the Life of Me”. Observe and analyze all the 6th graders Spiral Data Portraits collectively in one Big Data Art piece. a heat map and an interactive map that was generated by their data. The lesson also covers what a Data Scientist does, different types of info-graphics, charts and now the artwork that different artists are inspired by all this data. We end the lesson with a project for the students. 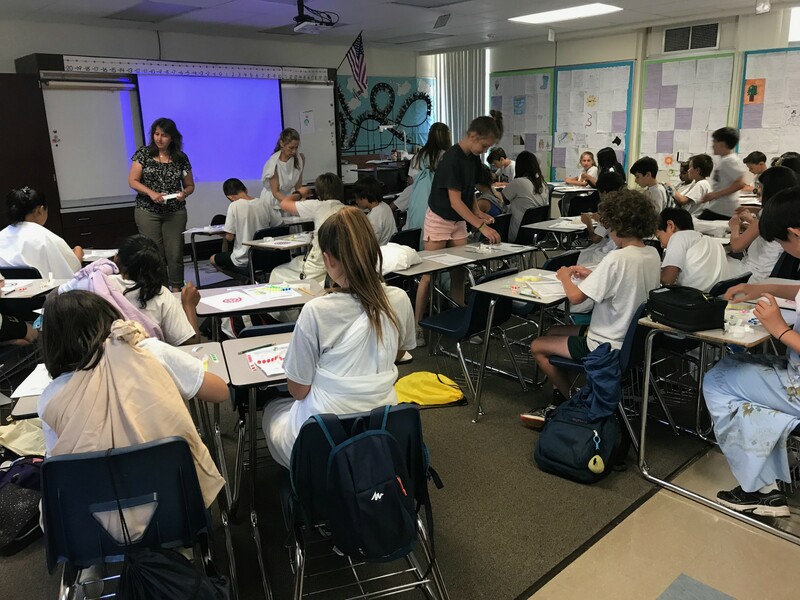 Students are working on their own “Data Portrait”. They must first fill in a tally sheet which shows them how much time they devote to different areas of their life. activity. 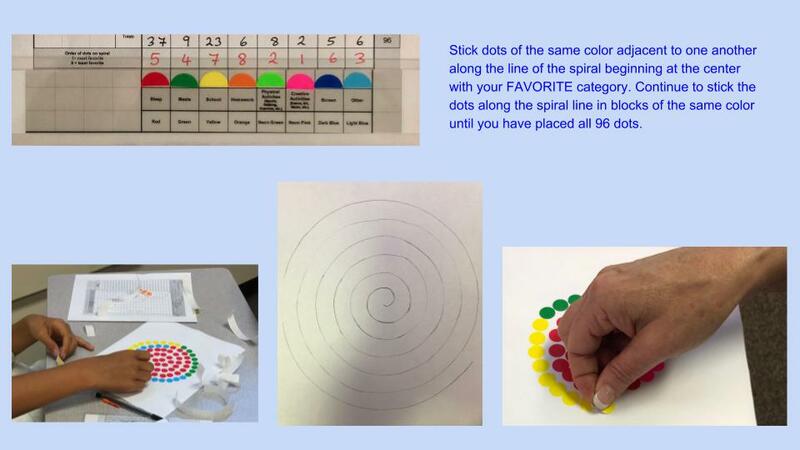 They will put their favorite activity dot color in the center of the Data Spiral. (about 550) together as one large BIG DATA ART installation to be viewed by the school.